Architect Archibald Norman Torbitt was one of the most diverse designers to practice in Washington state, with his portfolio ranging from projects completed in the Beaux Arts, Tudor, Spanish, Colonial and Streamlined Moderne styles. He was born in Mexico, Missouri on July 1, 1883 and his formal architectural education was limited to International Correspondence School, graduating in 1906. Upon graduation, he joined the architectural office of Miller & Opel in Jefferson City, Missouri. By 1910 he had risen to the level of partner and maintained the Springfield office for the firm, which by then was renamed Miller-Opel & Torbitt. Designs by the firm included the National Bank in Fayette (1906); the Greene County Courthouse (1910-12); Landers Theater; the Heer-Andrea Store Building (1916); several buildings at Drury College; St Agnes Church (1910); the Hammond Building (1910) in Jefferson City; and two of the original buildings at Missouri State University. Reportedly Torbitt remained in Springfield working with architects Frank B. Miller and Charles Opel until 1918. Some reports indicate that Torbitt moved to St. Louis and opened an independent practice (1918-1923), but this has not been verified. While working for architect Frederick E. McIlvain of Kansas City, Torbitt came to Longview to supervise the construction of the Monticello Hotel (1923). Once there, he entered in to a two-year contract with the Long-Bell Company to assist them with the design and implementation of their company town. While in Longview Torbitt designed a variety of structures for the company, primarily in the Classical and Georgian Revival styles. Projects include the Community House (1923); the Community Store (1923); the Colonial Building (1923); the Mt. Hood Building (1923); the Hotel Broadway (1924); the Longview Public Service Co. Power Substation (1925); the Longview, Pacific & Northern Train Station (1925); several school buildings (1926); the Longview Country Club clubhouse (1926); the Library (1926); a gas station (1927); and a variety of homes for executives at the Long-Bell Company. Outside the city he designed the Ryderwood Theater & Lodge (1925) in Ryderwood; and the Skamokawa Grade School (1927). In 1927, Torbitt moved to Seattle and formed a short-lived partnership with architect Daniel R. Huntington. Together the firm of Huntington & Torbitt designed Bryan’s West Seattle Dairy (1927); and the Piedmont Apartments (1928) in Seattle. They also worked with local Hoquiam architect, Edwin St. John Griffith, to design the Seventh Street Theater (1928) and the Hoquiam City Hall (1929). For reason unknown, the partnership was dissolved after two years, and each went their separate ways. Torbitt’s first design after the split was an apartment building at 40 Prospect Street (1929) for A.P. Merill. Other projects included the Christian Scientist Church in Anacortes (1929); Anacortes High School (1931); and the First Church of Christ Scientist in The Dalles, OR (1933). Reportedly during the Depression years Torbitt worked in Juneau, Alaska for the Alaska Public Works Administration. Upon his return he designed the Jefferson Park Golf Course Clubhouse (1936) in Seattle; Mt. Vernon School (1939) inMount Vernon; a Jr. High in Longview (1938); and the Seattle Hatchery (1940). 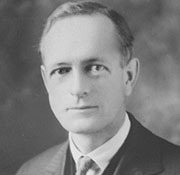 In 1943, at the age of 60, Torbitt took a job as an associate architect with George Stoddard in Seattle; remaining with him until 1952. To date the only project accredited to Torbitt while at Stoddard’s office is an addition to Fauntleroy School (1950). From 1952 to 1956 Torbitt continued to advertise his services as an architect with an independent practice. He died in Seattle on September 22, 1958. Washington State Architectural License – January 31, 1923. “Construction of New Kelso Theatre and Lodge is Begun” Seattle Daily Times, April 26, 1925. “Power Unit Being Built: Longview Substation to Be Second of Kind in Northwest” Oregonian, September 6, 1925. “Longview Rotarians Elect” Seattle Daily Times, April 29, 1926. “Longview To Receive Bids on Two Schools” Seattle Daily Times, May 18, 1926. “Skamokawa Plans School” Seattle Daily Times, August 12, 1926. “Country Club Under Roof” Oregonian, August 15, 1926. “$20,000 School Opens” Oregonian, February 13, 1926. “New Grade School At Skamokawa Dedicated” Seattle Daily Times, February 13, 1927. “Service Station Planned” Seattle Daily Times, April 3, 1927. “Longview Architect Coming to Seattle” Seattle Daily Times, June 5, 1927. “West Seattle Dairy to Hold “Open House”” Seattle Daily Times, September 28, 1927. “The Piedmont Apartment Hotel” Seattle Daily Times, November 11, 1928. “Torbitt Announces $40,000 Apartment” Seattle Daily Times, April 10, 1929. “Anacortes High School” Washington State Architect, January 1931. “The Dalles, Oregon” Washington State Architect, February 1932. “Mount Vernon Plans High School” Seattle Daily Times, April 25, 1937. “Architect Named to Design New School” Seattle Daily Times, May 22, 1938. “Work Started On New Homes At Blue Ridge” Seattle Daily Times, September 3, 1939. “New Hatchery To Open Feb. 1” Seattle Daily Times, January 7, 1940. “$25,000 Hatchery Opens” Seattle Daily Times, February 18, 1940. “School Addition at Fauntleroy is Dedicated” Seattle Daily Times, November 21, 1950. “Death Takes A.N. Torbitt, Ex-Architect” Seattle Daily Times, October 23, 1958.